In respect to the news that was published last week, I wanted to thank you all for your understanding in light of the situation, and continued support of my character. We have been cooperating with the investigation through counsel since I was notified about there being a potential warrant for my arrest while we were racing in Las Vegas. My attorney has stayed in constant contact with the Rowan County District Attorney handling the case to reach a resolution, which has resulted in charges being dropped and a voluntary dismissal being filed earlier this morning without the need of a formal arrest. The race truck in question was delivered earlier this week to a location desired by the Rowan County Sheriffs Department. I continue to maintain my innocence in this matter, and the fact that I bought the race truck in good faith with a bill of sale, unbeknownst of its history. This has been quite a humbling lesson in being a new team owner, and the importance of discerning who you do business with. I take great honor in representing to the best of my ability my fans, partners, and family; and am grateful for your grace, support, and prayers through this all. Nine months ago when we put into action the idea and dream of starting up our own team to compete, the main principle was, and is, to have faith, respect, and integrity serve as the pillar to every action and decision that is made with ownership. My life verse has been, and will continue to be Proverbs 3: 5-6. I take great hope in knowing that God allows everything in life to happen for a reason, and will apply what God has taught me through this as motivation to keep my relationship with Him first in everything that we do. The Rowan County Sheriff’s Office is trying to find a NASCAR Camping World Truck Series driver who is wanted on a warrant for possession of a stolen vehicle. According to the report, deputies began an investigation of the larceny of a race truck from 804 Performance Rd. in Rowan County. The truck was located at Robert Newling’s shop and was there to have some damage repaired from a wreck in a race that took place in Texas. Deputies say that Robert Newling sold the truck, that did not belong to him, to Jordan Anderson. During this investigation, investigators determined that Anderson had reason to believe the truck he purchased from Newling was stolen. Investigators attempted to get the race truck back from Anderson but say that he refused to surrender the truck. Anderson was made aware of an outstanding warrant and has hired an attorney. Anderson’s attorney contacted the Rowan County Sheriff’s Office and stated that Anderson would turn himself in on September 20. Newling was charged and arrested for larceny of a motor vehicle. Anderson still has an outstanding warrant for possession of a stolen motor vehicle. 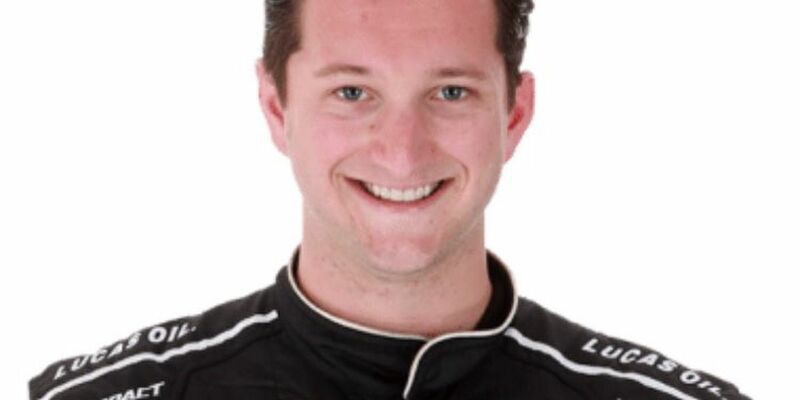 Jordan Anderson is a driver and team owner of Jordan Anderson Racing in the NASCAR Camping World Truck Series. Anderson, 27, has one top ten finish in his career as a driver. He began racing in the series in 2014. Anderson has driven for Mike Harmon in both the NCTWS and the Xfinity Series. Harmon is listed as the victim in the investigation in Rowan County.